OH MY GARSH. I am in love with what I made for Doug to take to work today. They will be made again...(and again and again and again). I LOVE a good sweet and salty combo and these were a sweet and salty lovers dream come true. 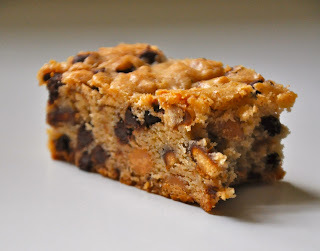 They are basically a chocolate chip cookie (or bar) that you add some peanut butter chips and broken pretzels to...next time I will be adding even more than the 1 1/2cups of pretzels and a little more sea salt. They were amazing. I may have had one for breakfast. Protein? Eggs? Done. Preheat oven to 350 degrees. In a small bowl, whisk together the flour and baking soda; set aside. In the bowl of an electric mixer fitted with the paddle attachment, combine the butter with both sugars; beat on medium speed until light and fluffy. Reduce speed to low; add the salt, vanilla, and eggs. Beat until well mixed, about 1 minute. Add flour mixture; mix until just combined. Stir in the chips and pretzels. Drop heaping tablespoon-size balls of dough about 2 inches apart on baking sheets (or make them into bars by baking them in a 9 by 14 pan). Sprinkle with sea salt. Bake until cookies are golden around the edges, but still soft in the center, 8 to 10 minutes (if doing bars baking will take 25-30 minutes). Remove from oven, and let cool on baking sheet 1 to 2 minutes. Transfer to a wire rack, and let cool completely. Store cookies in an airtight container at room temperature up to 1 week. And I got the print thing figured out. You can buy one over at my shop. And I JUST finished my last custom costume order for the year. (I kinda hope). I feel so blessed to do what I do...and I am so thankful for each and every one of my LOVELY customers who push me and beg me and believe in me to do things. I can't help but think of an email I got in Sept of last year asking me to make a Halloween costume for them...in the nicest way possible I told them that costume making was WAY over my skill set. And this year I made dozens. God is good. My customers are good. Life is good. I can't wait to see where I am next year. Thanks again for being lovely! Those look delicious. I love anything with pretzels and chocolate! SERIOUSLY love those new prints... I'm gonna order one... just need to wait for some more cash flow! You are amazing and I'm blessed to call you friend! Hugs to you friend! Wow those look amazing. I might have to make them. I really, really love this print. I'm pretty sure I need one. And probably have some friends that need some, too. :) Love the happy colors and the mixed media! This recipe is delicious!! I made them (in bar form) for a Halloween party last night and got rave reviews. 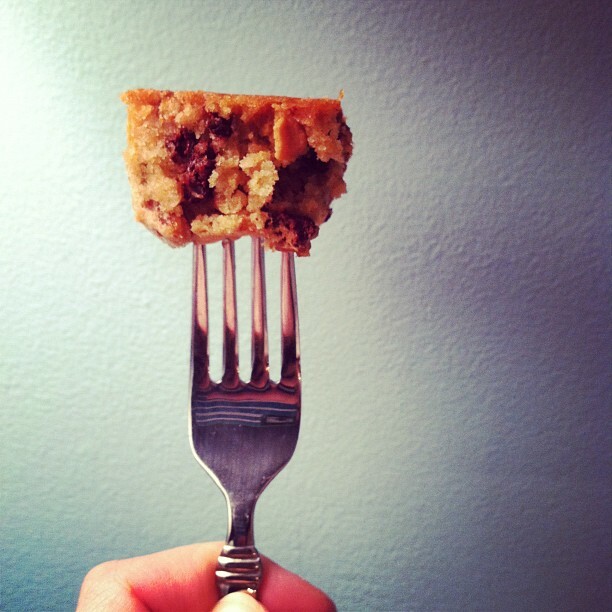 It's a wonderful balance of sweet and salty. Thanks so much for sharing it!